Want a vacation but are on a budget? Find out where you can go for P5,000. We all need a dose of rest and relaxation—but vacations can be quite expensive. So how do you deal with it? Stick within your budget because it can still bring you and your family somewhere fun and exciting. You can have a budget vacation worth P5,000 for a family of four! Read on, and see which budget vacation suits you. 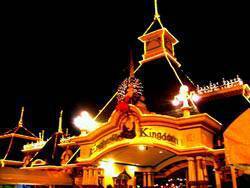 Give yourselves a day of nothing but riveting rides at Enchanted Kingdom. Travel Time: It’s about an hour drive from Makati, if you have your own car. By shuttle, it may take around two hours, considering the traffic and waiting time for passengers. Shuttle services to Enchanted Kingdom in Sta. Rosa are available at the Ayala Terminal in Makati. a) One-way shuttle service costs for about P200.00 per person. For a roundtrip fare of four persons, be sure to allocate P1,600 to P2,000, including your jeepney, bus, or taxi rides within Metro Manila. b) For ticket rates, you have some options to manage your limited budget but still enjoy the fun rides. Choose from P150 (limited rides) to P500 (unlimited rides) per person. So your expenses on this may be around P600 to P2,000 for four tickets. Below is a guide taken from Enchanted Kingdom just to give you an idea of how much you may want to spend for your ticket and what comes with it. c) For food, it’s never a worry. There are a lot of food choices to suit your appetite and budget, such as hotdogs, donuts, pizza, dim sums, rice meals, and more. 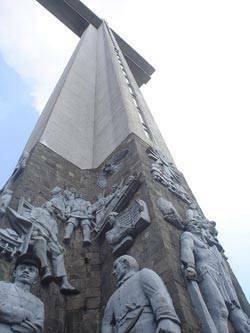 If you’re looking for an educational and historical trip with your children, Bataan, known as the Cradle of Heroes, will definitely be a treat. The following historical sites can be found in Bataan: the first Abucay Catholic Church (a 411-year old Church), Mount Samat, Shrine of Valor (Pilar, Bataan) and Zero Kilometer Death March Marker (Mariveles). Travel Time: Just close to Metro Manila, Bataan is approximately one and a half hours bus ride. You can take buses like Bataan Transit or Genesis Bus Lines in Manila and Pasay City terminals. a) One-way bus air-con ride costs for about P205.00 per person. For a roundtrip fare of four persons, be sure to allocate P1,640 to P2,000, including your jeepney , bus, or taxi rides within Metro Manila. b) For your day tour, secure a travel guide of the historical landmarks, points of interests, and other tourist attractions ahead of time. Then take public transportations that go to these sites; you can simply ask around for assistance. Allot at least P1,500 for rides and possible entrance fees to some attractions. However, Bataan is more famous for its historical sites–which are mostly free to visit. c) Your remaining P1,500 to P1,900 budget may even be more than enough for meals and snacks for one day. Instead of food chains, go for culinary masterpieces of restaurants in Bataan that serve truly affordable Pinoy dishes with their own unique local flavors. You can check out http://www.bataan.gov.ph for more information. 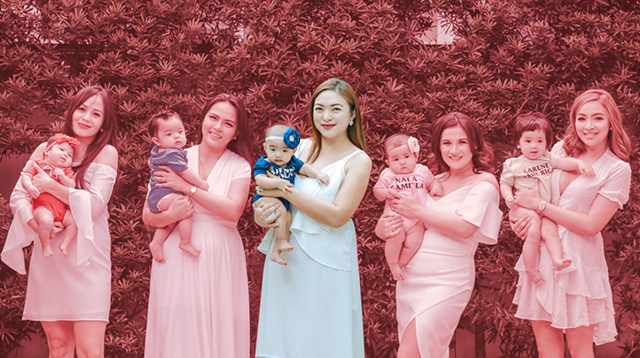 At first glance, P5,000 may seem a stretch for a great vacation for a family of four. It may not bring you the beauty of Palawan or Boracay, but it can give you an equally enjoyable family bonding experience.